KNIFE-ATTACK IN PARIS-On Saturday, a knife-wielding man was shot dead by police in Paris after he stabbed several people near the famous opera house. According to the local police , one people was killed and four people were injured in the attack but are now out of danger. France’s interior minister, Gerard Collomb, said Sunday the four people injured were “out of danger,” the Associated Press reports. 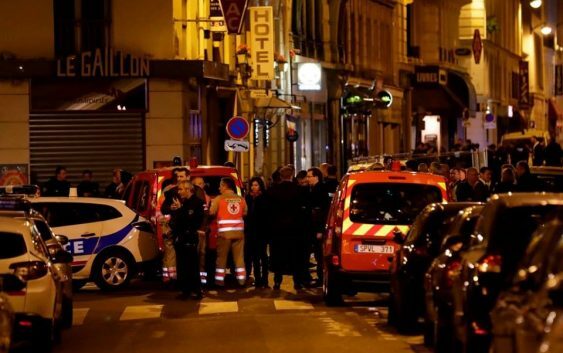 Collomb said authorities are working to identify the suspect and anyone who may have helped him carry out the attack. The French President Emmanuel Macron on Saturday tweeted condolences to victims, stating France will not cede to “enemies of freedom.” “France is once again paying the price of blood, but will not cede an inch to enemies of freedom,”. www.newzimbabwevision.com says that Zimbabwean women fail to realise they constitute the largest proportion of the electorate, therefore unite, fight for the girl child, equal rights and gender issues, swing the vote,…vote wisely! BRITAIN’S FORMER LABOUR CABINET MINISTER, Tessa Jane Helen Douglas Jowell, Baroness Jowell, DBE, PC (née Palmer, Dame Tessa Jowell ; born 17 September 1947-13 May 2018) has died.